‘Stained Glass at Samhain’ Play will to make U.S. Premiere in Denver! For over 200 years, societies around the world (including the United States) operated institutions called “Magdalene Asylums” in which prostitutes, mentally ill and/or handicapped women, orphan girls, women running from abusive relationships and girls thought to be too pretty and flirtatious were often placed for “rehabilitation” or to seek penance for their sins, real and imagined. In many of those facilities, women were free to leave and often did so after they were determined to be “rescued”. Originally, the asylums in Ireland were Protestant institutions and in the early years of the 19th century, the Catholic Church appropriated their operation and converted them from short term “recovery” centers to long-term institutions whose existence was known to much of a society that knew little of what happened inside them. They became the infamous “Magdalene Laundries”, named after St. Mary Magdalene and the laundry work done to pay for operations as they received no public support. For many, death was the only way to escape. In 1993, a former laundry on Leeson Street in Dublin southeast of St. Stephen’s Green was sold for redevelopment. In the process of demolition of the building and clearing of the site, the unmarked graves of 155 women were discovered. This led to intense scrutiny of the records, testimony from women who had been “penitents” in the laundries and came forth after the discovery, closure of the last laundry in Ireland in 1996 and the placing of a monument there called the “State Meant” memorial. The outcry led to an 18-month long official inquiry by the Irish government that resulted in a report that found the state guilty of turning a blind eye to the abuses and a public apology on behalf of an embarrassed state by Taoiseach Enda Kenney on February 19, 2013. It also led Patricia Burke Brogan, born in County Clare and now living in Galway City to write a play called “Eclipsed” in the late 1980’s that presented a picture of life inside a laundry from the perspective of one of the penitents. A former nun whose experience working as staff in a laundry led her to resign from her position at the laundry and leave her orders, she had the direct knowledge to write the play. It was first produced in 1992 and received a Fringe First at the Edinburgh Theatre Festival that year and the Moss Hart Award in the US in 1994. Brogan was also inspired to write a play in 2001 that bookends the story of the laundries with the perspective of a nun who worked in one. 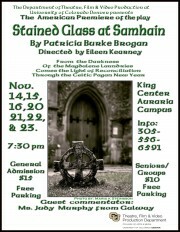 That play, “Stained Glass at Samhain” will have its American premiere in Denver this month. Directed by Eileen Kearney, an adjunct professor in the Theatre Department at the University of Colorado Denver, the play uses the destruction of a fictional laundry as a metaphor for the destruction of the laundry system and to make some powerful statements about the physical and mental abuses visited upon the women, the effect upon their minders and the spiritual healing and reconciliation of those involved. Kearney, with roots in Mayo, Roscommon and Cork, discovered the works of Brogan during her research into the lives of Irish women playwrights for her Master’s thesis while in Ireland. In 1952, an unmarried and very pregnant Philomena Lee was sent by her father to Sean Ross Abbey in Roscrea, County Tipperary where she gave birth to a boy. She was forced to surrender the baby to the Church who arranged his adoption by an American family when he was three years old. Lee was sent to work in a home for delinquent boys operated by the Church in Liverpool. She later married, had two more children and late in life began searching for her son. At 11:30 AM on November 17th, as part of the starz Denver Film Festival, the UK movie “Philomena”, starring Dame Judi Dench as Philomena Lee will play at the Elaine Wolfe Theatre in east Denver. Based on the book “The Lost Child of Philomena Lee” by Michael Sixsmith, the movie tells the story of Lee’s search for and discovery of her son fifty years after his birth, the barriers thrown up by the Church and features a performance by Dench that is already generating Oscar buzz. Three Colorado fighters had MMA bouts across the United States on November 16 and all three tasted bitter defeat. While it’s not the first time any of the three; Nick Laney, Cody Donovan, or JJ Aldrich, have lost, for them it doesn’t make the sting of it any less harsh. First up was Nick Laney, featured last month for his year spent training fighters in Cork, Ireland He lost his main event return at Sparta Combat League’s Lords of the Legion event by unanimous decision to Jared Deaguero. The always feisty Laney wasn’t pleased with the way the fight turned out for a number of reasons. Laney, out of Infinite MMA, now stands at 6-2 professionally. Later in the day, Colorado’s favorite son, Cody ‘Donnybrook’ Donovan, kicked off UFC 167 against Gian Villante. The first round found Donovan dominating with crisp striking from both his fists and feet and it was clear right from the start that he was looking to make an aggressive statement. Donovan was clearly going for a highlight level ending when he threw a head kick in the second round, however the timing could not have been worse luck for him. At the same moment his foot caught his opponent’s shoulder, Villante connected with an overhand right that dropped Donovan to the mat and handed him a TKO loss. Donovan, out of Elevation Fight Team and Easton Training Center, now stands at 8-4 professionally. The day rounded out with amateur JJ Aldrich defending her Destiny MMA women’s flyweight title against Rachael Ostovich in Hawaii. Aldrich, one of the most decorated female fighters in the history of Colorado MMA and whom is nominated yet again for a number of awards, has heavy ties to the Irish community. “My dad was born in Ireland and most of my family is full blooded Irish. I would like to one day go to Ireland to visit and learn more about the culture. I think it’s really cool that the Colorado Irish community supports MMA,” Aldrich, who now calls Aurora home, said. But all of that support couldn’t help her overcome her first loss in over a year. Aldrich dropped her title by unanimous decision. “Physically, I’m fine because I didn’t get hit. I feel I could have done more and there are some mistakes I made and opportunities I had in the fight that I didn’t capitalize on. I know she didn’t beat me because I beat myself,” Aldrich said. Aldrich, out of Freedom Fighter and 303 Training Center, now stands at 6-4 as an amateur. While fans may feel like it was a demoralizing date for Colorado-Irish fighting, it’s important to hold the context. If we judge the Irish by our win/loss ratio as a people, we would be well below anything close to a winning record. But our history is steeped in rich stories of gallant men and women who faced long odds and sometimes won, but often times lost…handily. The point of the battle was to enter it, never mind the odds or the eventual outcome. The best drinking songs seem to all end with the titular hero falling to some infinite glory. So be of stout heart fight fans, all of these fighters will be back and winning soon enough, and no matter what, we’ll still raise them up. To that end, please take a moment to help us decide on the immortality of our local fighters. 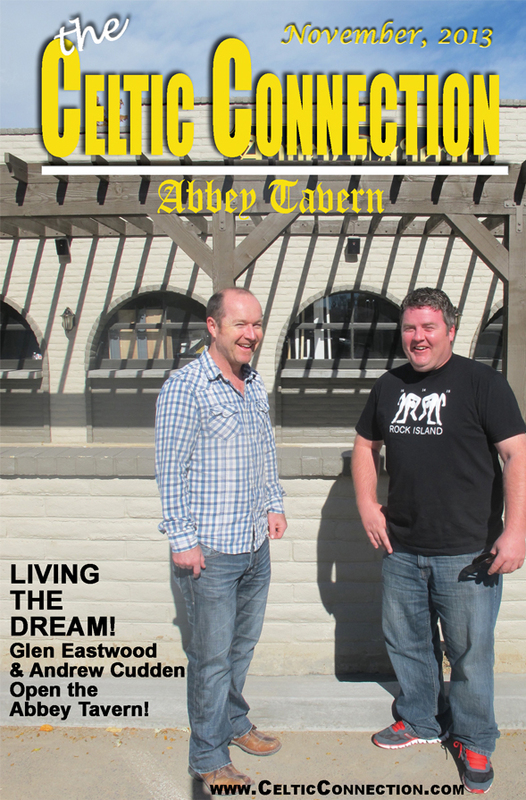 Voting is now open for the first ever Colorado Celtic ‘Club’ award, honoring the best Colorado Irish-American fighter for the year by naming them as the ‘Club’. Both Donovan and Aldrich are nominees, as well as a number of other worthy fighters. Take a moment to go here, https://www.surveymonkey.com/s/coIrish, and give your favorite warrior a vote. Nick Laney is a decorated fighter based out of Infinite MMA in Loveland, Colorado. He holds wins over major names, titles, records. But a year ago the fighter decided the thing his career needed most was a bit more green, and relocated to Ireland. “I had heard about an opportunity to take over as the head of an MMA program in Cork and after thinking it over and consulting with my family and mentors, I decided to pursue it. I was there for a little over 11 months,” Laney said. One of the standout fighters in Colorado, he made the unheard of move of not just changing states, but whole countries. Confusion was immediate from fans who wondered if perhaps he wasn’t going back to reconnect with some Irish roots that none knew about. “Yeah, with a name like Laney right? Well, my dad was adopted by a Laney, so no, not Irish by heritage. But you say I look Irish? Not sure, after being around those guys, that this is as much of a compliment as you think it is,” Laney said, with a good natured jab at his new found family in Ireland. He speaks highly, nearly poetically, about his time on the Emerald Isle. “The best part was being able to experience a different culture and see another part of the world on someone else’s dime. I had a lot of fun meeting and getting to know my new team and helping them progress as martial artists. The team I ran is called The MMA Clinic, and there are a lot of talented, really hardworking guys there,” he said. The big question, of course, was what did he do to fit in with the indigenous people of Ireland and did a certain popular drink help him acclimate? “The more I drank, the more Irish I felt. But what, Guinness? No sir. We drink Murphy’s in the real capitol of Ireland!” Laney said with a shout. Imbibing of the drink is one thing, but food in another. Ireland has been long stereotyped by American consumers as being a land of lush fields and awful food, an ugly rumor Laney wants to put to rest right away. “Oh, the food! The food was great actually. A lot of people bad mouth it, but honestly if you know where to look they have some of the best meat and produce in the world,” he said. But for fans of the sport, a big question is if MMA looks the same the world over. “They tap like you do, they get knocked out, they win. It’s all the same. A fight is a fight, everywhere you go,” Laney said. Though he was a world away, Laney made headlines all the way back in the states in April with a Superman-punch, a leaping closed fist, that knocked out his opponent. “That was one thing I had been showing the guys in the gym. I said you could have fun and be effective in the ring. I had a great first round and started feeling really comfortable, so I tried a show-time kick in the second by the timing was a little off. My opponent gave me a high five for attempting it. Then he pressured forward and the range and timing was just too perfect and it hit and it dropped him,” Laney said. Worldwide acclaim aside, Laney’s time in Ireland was not always perfect. The father of a young daughter, he spent a great deal of the time wondering about the moments he was missing back home. “It was extremely difficult, definitely the hardest part of the whole experience. I missed thanksgiving, Christmas and New Years, my daughter’s birthday, those are things you can’t get back. But I’m doing my best to make up for it now by spending as much time as I can with her,” Laney said. Some of that time though, is now dedicated to preparing for his first fight since returning to the US. No sooner had the man known as ‘The Natural’ returned, than promoters were knocking on his door to get him back in the cage. 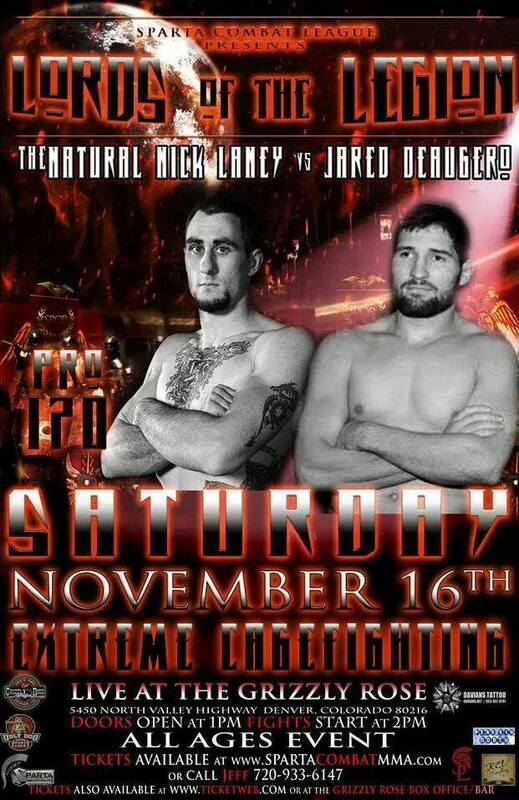 He’ll be fighting for Sparta Combat League on November 16 at their ‘Lords of the Legion’ show at the Grizzly Rose. “I’m excited to be fighting for Sparta again. I look forward to any time I can punch someone in the face and not go to jail,” Laney said with a laugh. Laney is 5-1 as a professional and 13-2 lifetime. Out of all of those fights, stretching back to 2008, only one has gone to a decision. So he has reason to be confident. “My opponent is supposed to be a pretty good wrestler but I’m confident in my skills wherever the fight goes. If I don’t KO him before we hit the ground then you’ll get to see him tap out instead,” Laney promised. Laney returns to Colorado from Cork to an adoring family, an improved level of competition, and a renewed interest in the sport locally. While new fans may not know him, those that remember are ready to embrace his winning style once more and welcome him back from the land of the fairy folk, to the Rocky Mountains. As we move into the holiday season, the Denver Gaels have a very full calendar of events and fun planned for their members and friends of the club. Twelve American-born members of the Denver Gaels’ Men’s Hurling team were joined by thirteen members of the Indianapolis Hurling Club to compete in the first ever Aer Lingus International Hurling tournament held throughout County Galway, Ireland, September 18 through 23. The tournament was the first of its kind, organized by the Irish government as part of The Gathering, a national event meant to bring the Irish diaspora around the world back to their native lands. The joint Denver/Indy team won each of its three group-stage games to qualify for the final Saturday at Pearse Stadium in Galway City. The team followed up their strong group showing with another impressive victory in the Championship game, making them Junior B Hurling world champions. Their undefeated run was a particularly great accomplishment because the squad had never played together before arriving in Ireland, and only had one training session as a team before their first match. Additionally, the Denver and Indy teams had competed against each other in the Junior B Premier Division Finals at the North American Championships over Labor Day weekend. Denver /Indy played Buenos Aires in the finale game, when the whistle blew Denver/Indy were champions! Co-Captains Mike Monahan of Indianapolis and Patrick Folan of Denver led the teams up to receive their well-earned trophy. With that, the celebrations commenced and continued well into Sunday around Galway town. The victory made the Gaels and Indianapolis GAA the first non-Irish club side to win a trophy in Ireland, and adds to what is an already impressive resume of achievements for both clubs. The Club would like to thank bainisteoir (manager) Brian Shoemaker of Indy Hurling Club, and Maor Foirne (supporting staff): Brian Mathes of Indy, and Eamonn Ryan and Brian McCarthy of Denver, for their work in blending the two squads into a championship-panel. The club also sends its thanks and appreciation to Jeffrey Lynskey of Liam Mellows GAA for taking the time to mentor the team during the tournament. We also wish to thank Aer Lingus, Etihad Airlines, the GAA, the NACB, and the Liam Mellows GAA Club, for organizing and hosting us with such gracious hospitality. Lastly and most especially our club members, friends and family who traveled to Galway to support the team. You were definitely the loudest group of supporters and very much appreciated by the players. Please join us in welcoming the team back to the States and celebrating their title win on Friday, October 4th, at Dougherty’s Pub. With the club’s celebration of their World Championship a rousing success, November sees the club’s indoor league get underway. The club are hosting the matches at the South Suburban Sports Dome in Centennial, every Wednesday night. The league will feature both hurling and Gaelic football, and we’re looking forward to having the chance to shake off some of the post-Ireland trip rust, and showing off the sports we love to a whole new audience in Centennial. But, it’s not just pub league getting underway in November; the club’s Annual General meeting is taking place on Sunday, November 3rd, at the Celtic Tavern. There, the club will be determining their plan for the next year and electing new board and committee members. On top of that, the club is looking forward to the annual Christmas party on December 14th, hosted by the Celtic tavern. It’ll be another great opportunity to celebrate the holidays together in traditional Irish fashion, and there’s sure to be plenty of craic to enjoy. The Denver Gaels B team outmatched the fledgling Colorado Fenians Hurling team on October 20 at Veterans Park, Denver. Both teams worked hard and provided good entertainment to the fans watching. 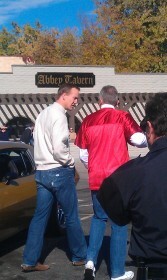 Afterward everyone shook hands in good sportsmanship. With the addition of the Fenians, there are 2 GAA teams based in Denver Colorado!